Some models ship FOB Texas. NOTICE: Machines for US customers only. Warranty void if purchased for use outside of the US. These furnaces feature a programmable controller with three built-in, easy-to-use programs plus the ability to be custom-programmed for your own burnout schedule up to 99 hours, with delay start capability. Controller allows you to preset up to 20 segments or "ramps." Each ramp consists of (1) rate of heating/cooling, (2) temperature setting in °F or °C, and (3) hold time for each temperature. The program you set stays in permanent memory until you reset it. 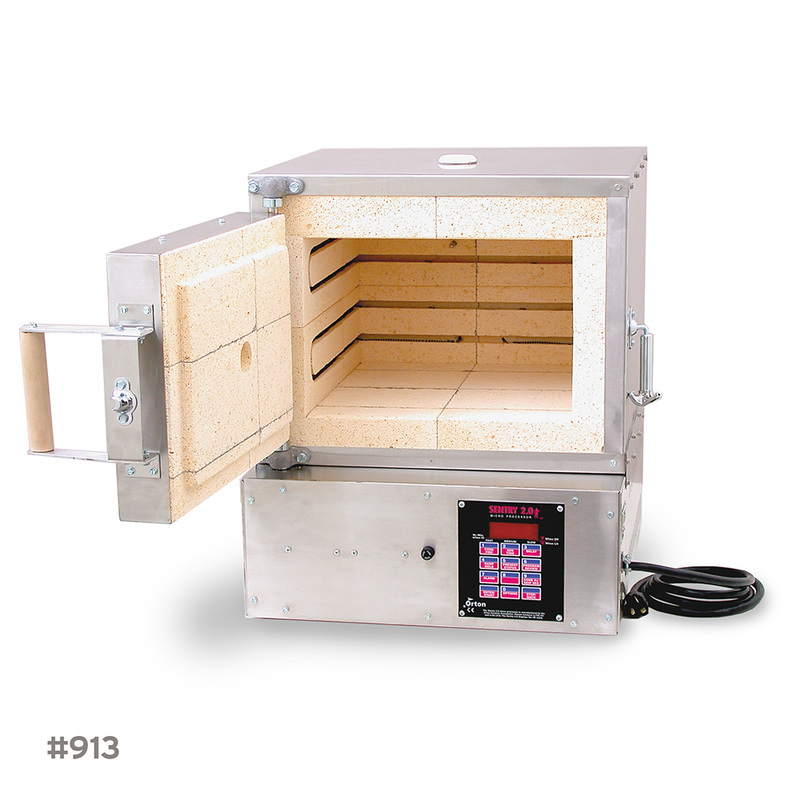 Furnaces are enclosed in tough stainless steel cabinets with firebrick chambers. Easily replaceable heating elements are secured in grooves inside the chambers. - These items ship by truck. We will contact you prior to shipment to arrange delivery and quote shipping charges. Chamber Dimensions: 13" x 13" x 9" 14" x 14" x 14" 18" x 18" x 18"
Shipping Weight: 160 lbs. 209 lbs. 295 lbs.